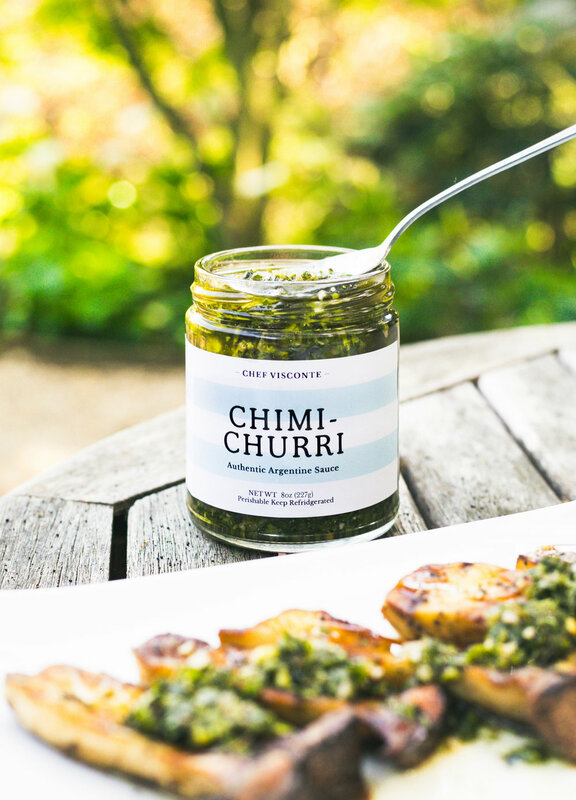 Our authentic Argentine Chimichurri sauce recalls delicious outdoor barbecues and celebrations in the countryside. Made with chopped parsley, shallots, garlic and Extra Virgin Olive Oil, our colorful blend adds a pop of freshness to all cuts of beef, but is a revelation when spooned over roast chicken or as a grilled meat marinade. To purchase our fabulous sauces in San Rafael, CA, or taste it in action, reach out via our Contact Page or stop by and say hello at the Civic Center farmer's markets in San Rafael on most Thursdays and Sundays.